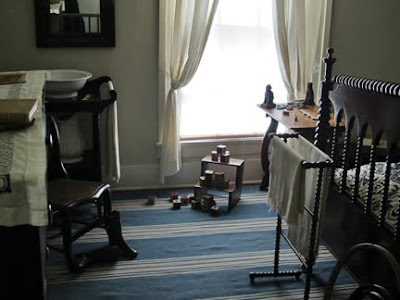 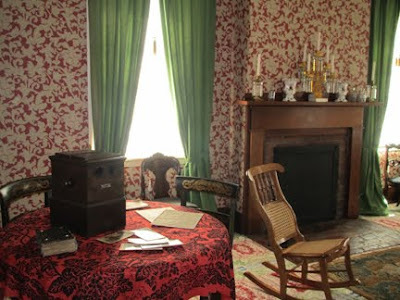 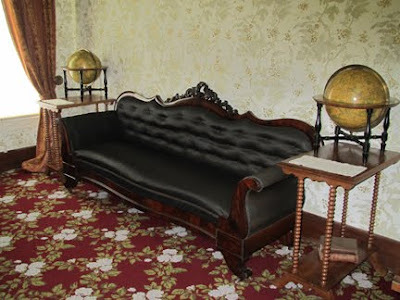 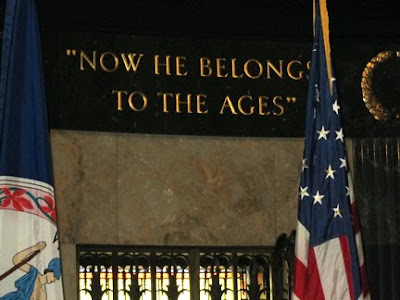 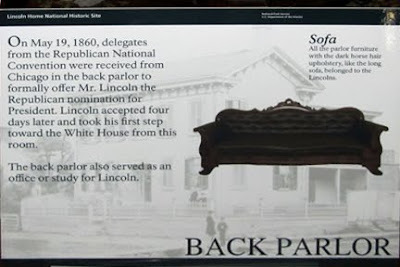 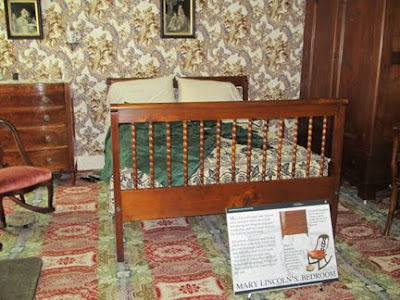 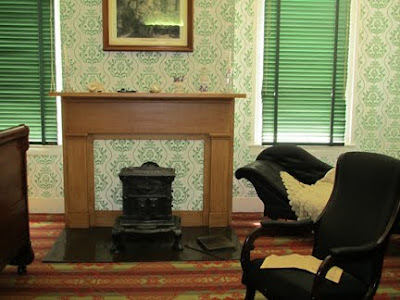 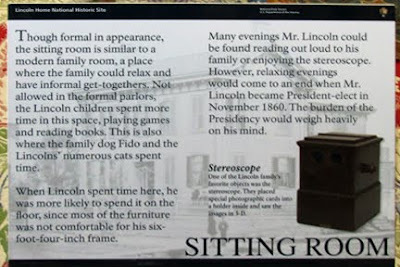 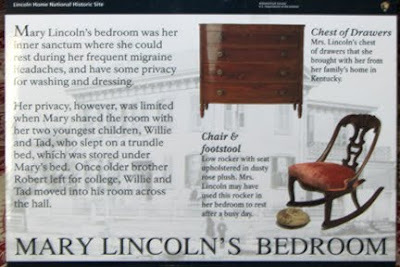 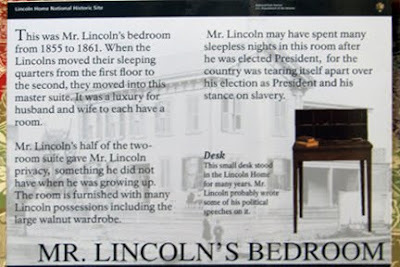 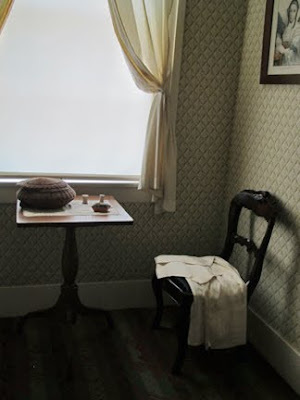 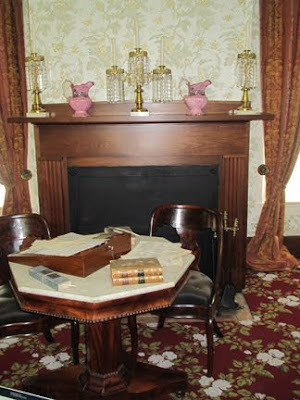 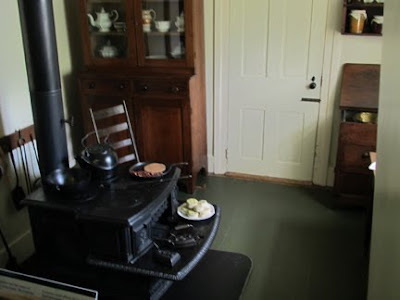 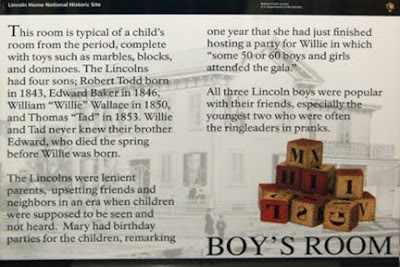 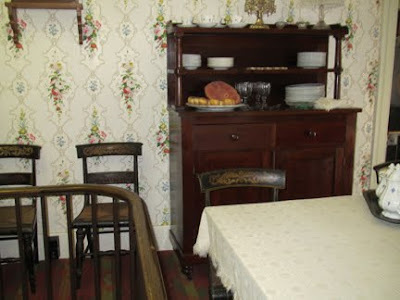 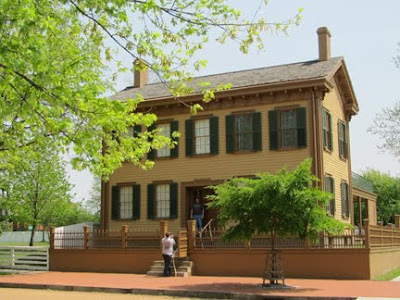 The only home that Lincoln ever owned is a National Historic Site in Springfield, IL. 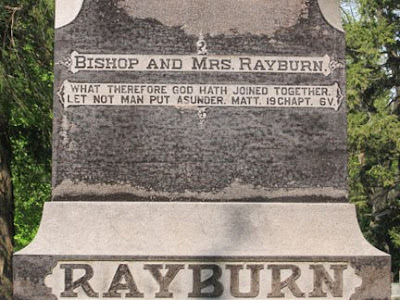 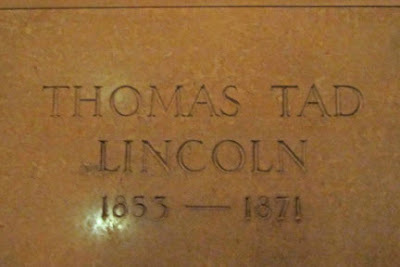 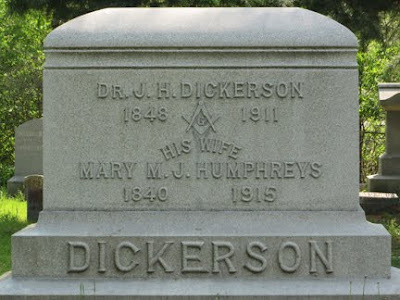 He and his family lived there from 1844 until he moved into the White House in 1861. 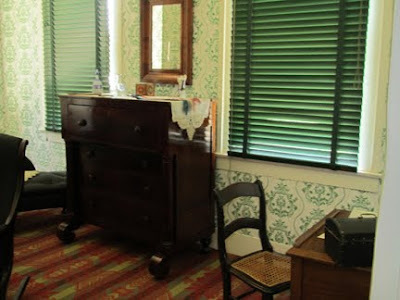 It is admission free and is the only historic home I’ve ever visited which allows flash photography. 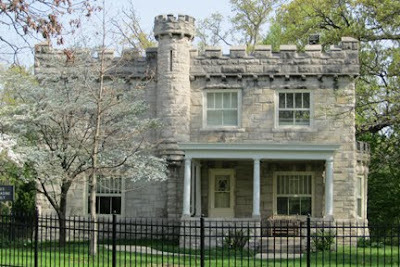 Located on Eight and Jackson Street it is part of a four-block (12 acres) historic complex. 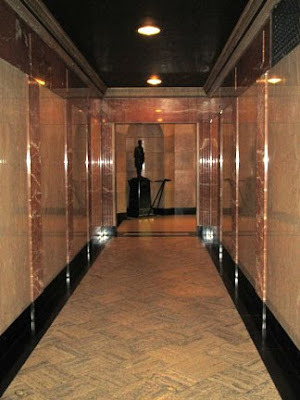 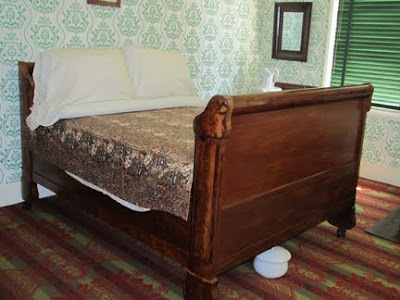 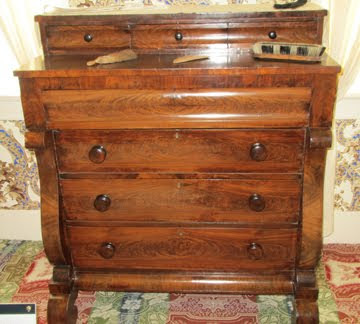 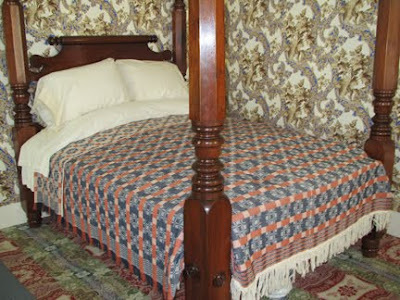 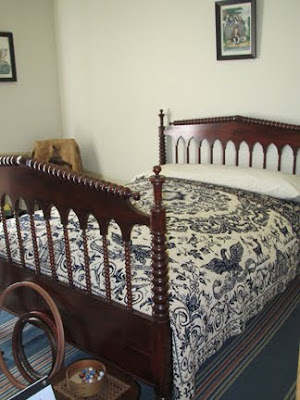 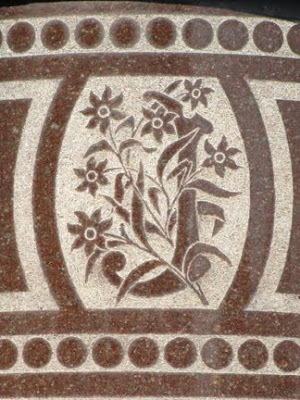 There are several other historic homes which have all been restored to the same time period. 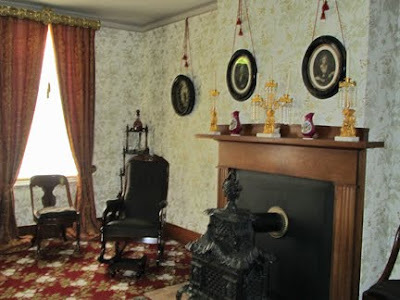 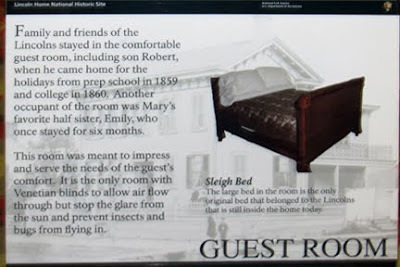 Robert Todd Lincoln donated the home to the State of Illinois with the condition it would be well-maintained and open to the public for no charge…they do however, charge $2.00 an hour for parking. 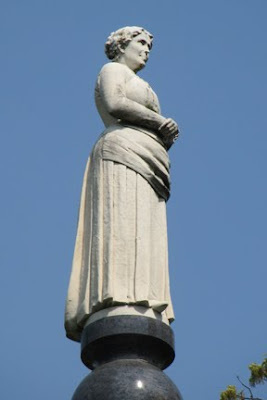 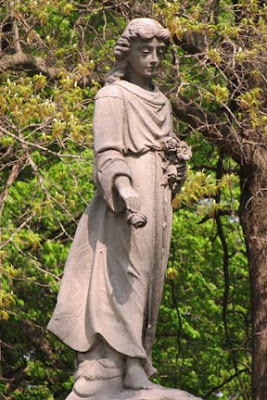 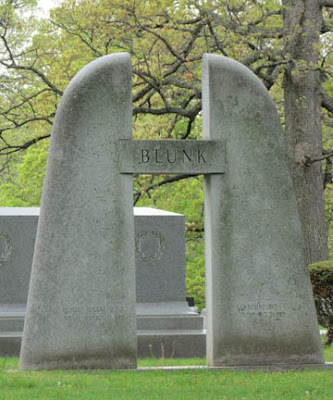 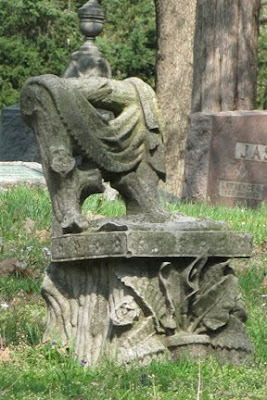 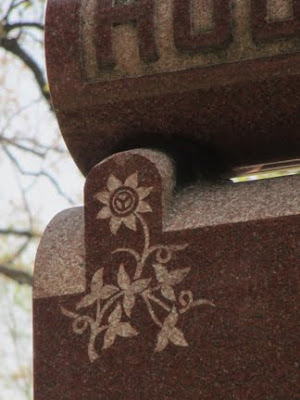 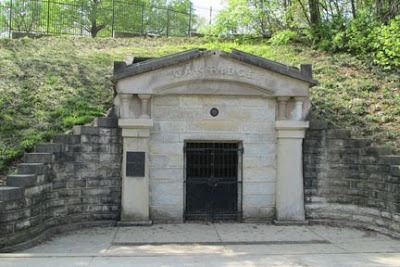 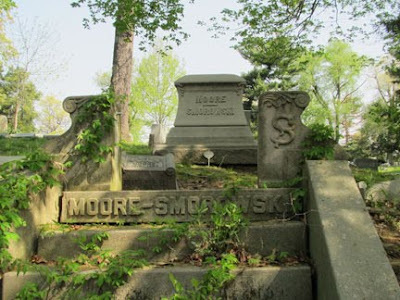 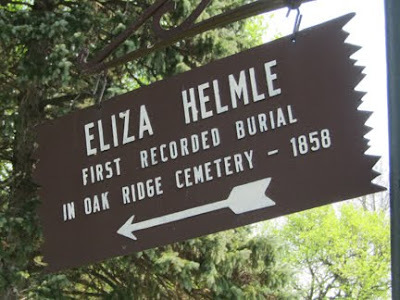 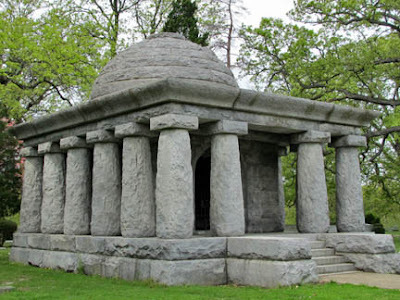 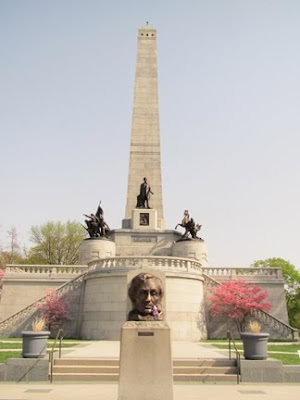 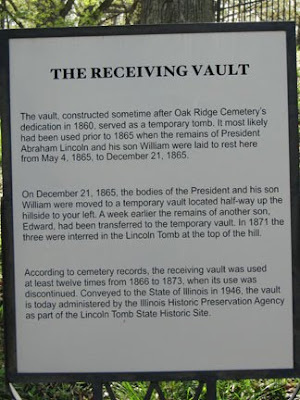 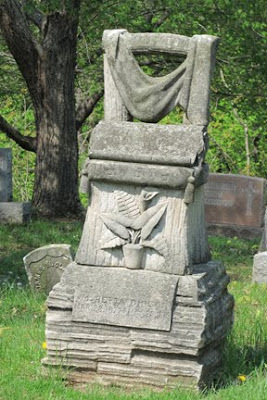 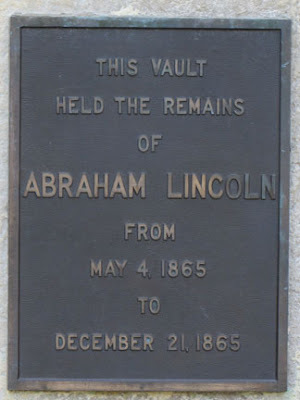 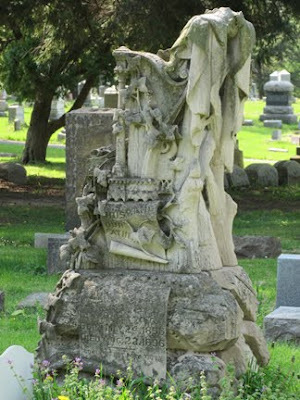 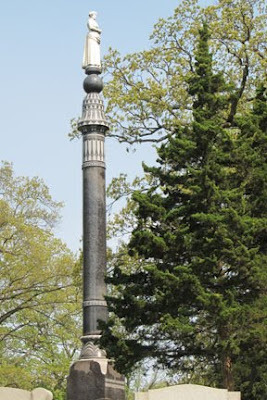 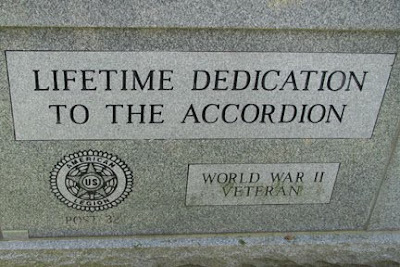 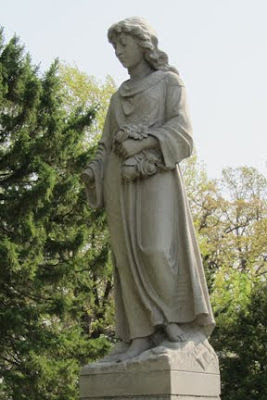 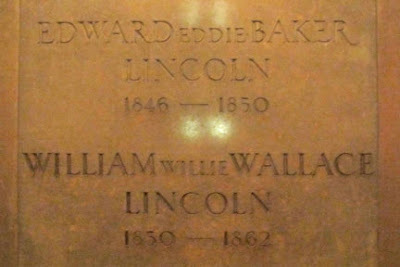 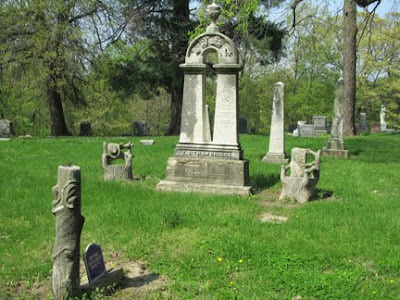 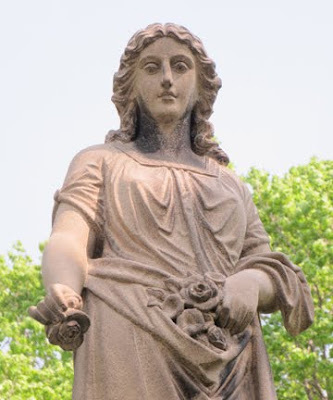 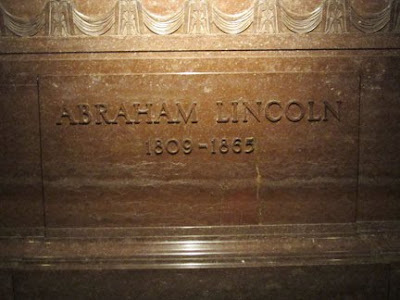 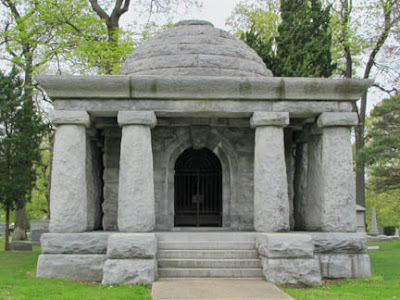 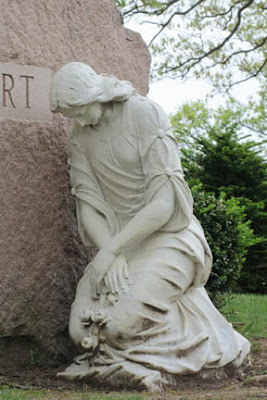 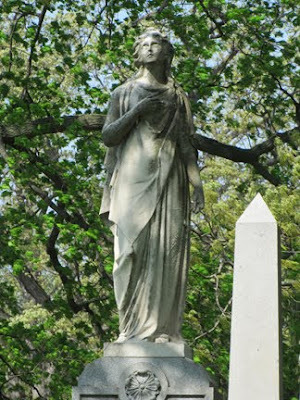 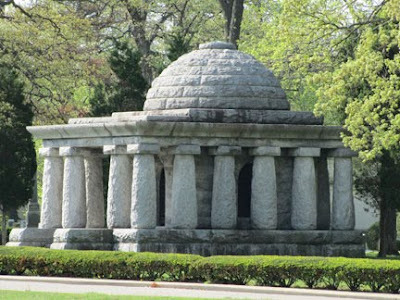 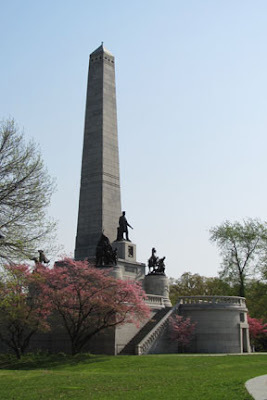 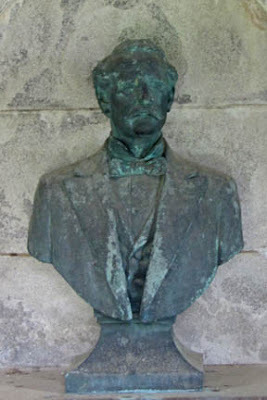 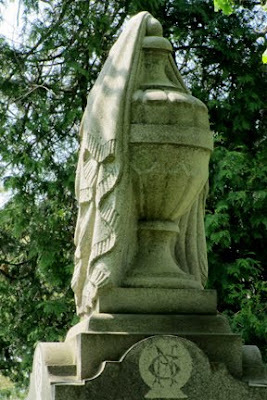 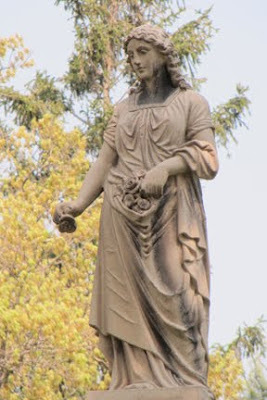 Located in the Oak Ridge Cemetery (Springfield, IL), Lincoln’s Tomb makes this cemetery the second most visted cemetery in the United States (Arlington being the first). 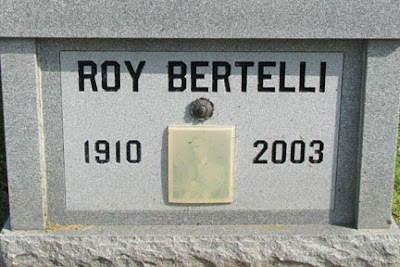 It’s the only cemetery I’ve visted that has restroom facilites in the parking lot. 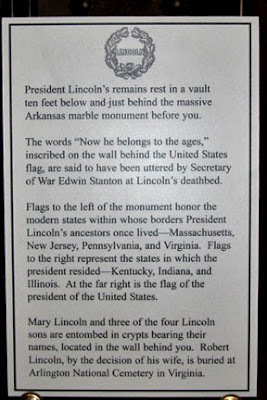 (Arlington has them in the gift shop.) 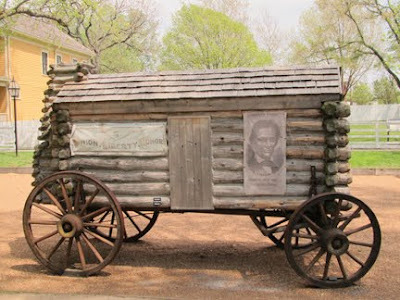 Walking up from the parking lot you are first greeted by the Cartaker’s Residence. 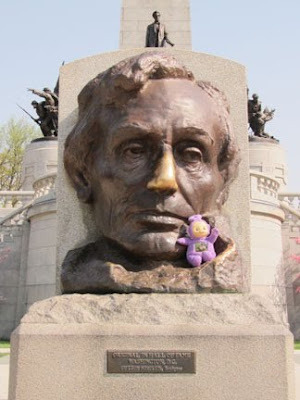 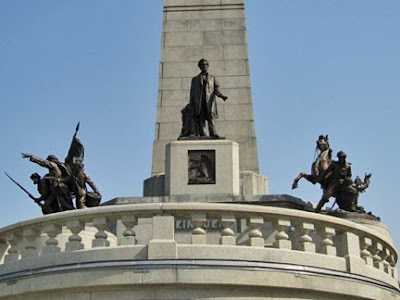 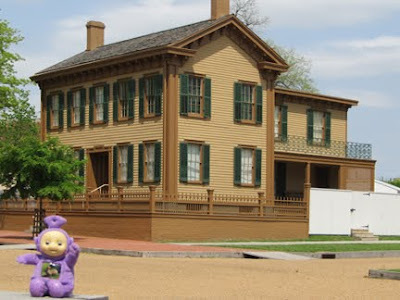 Then you look over and see this: There is a plaza in front with an Lincoln Head: Tinky Winky chooses to rub his beard instead of the popular nose: The tomb is very large and made up of several rooms…the first being the rotunda where I was greeted by a security guard. 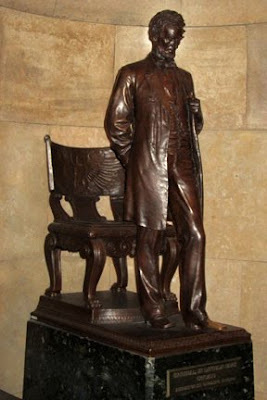 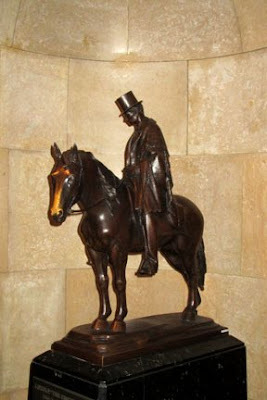 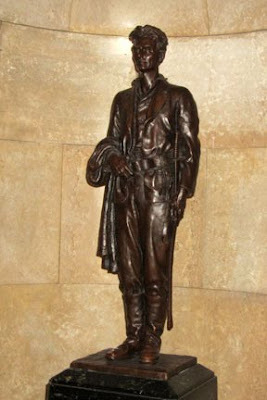 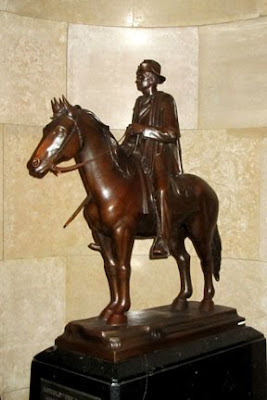 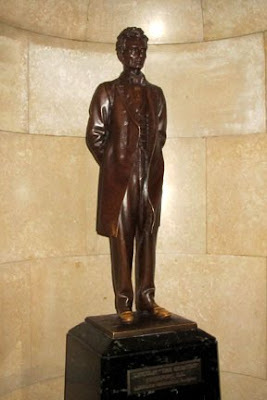 There is a Bronze cast of the model of Daniel Chester French’s sculpture of Lincoln, the sitting image from his Memorial in Washington DC. 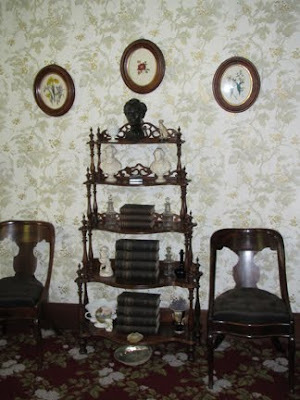 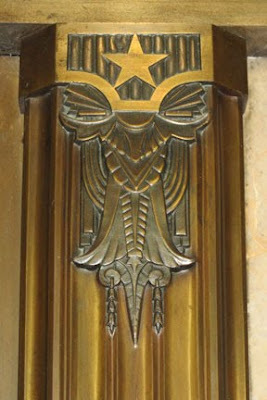 This is the trim above the front door: Two long corridors (one on each side of the room) lead to the burial room. 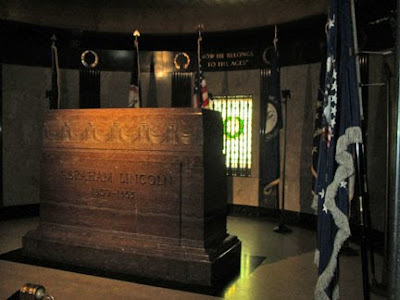 Along the way there several statues of Lincoln depicting different periods in his life. 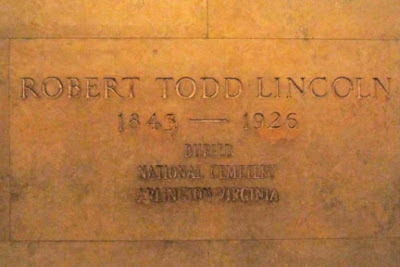 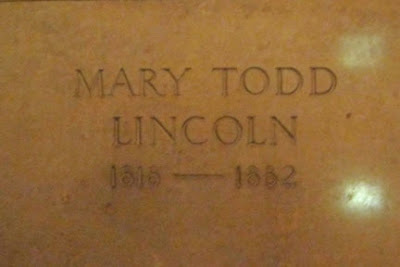 The south wall of the burial room holds his family: His only child to survive to adulthood, Robert Todd Lincoln is buried in Arlington. 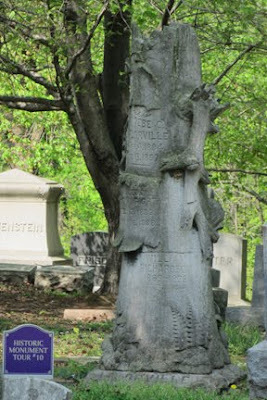 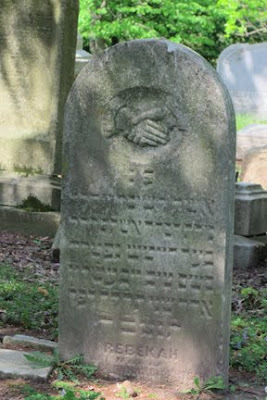 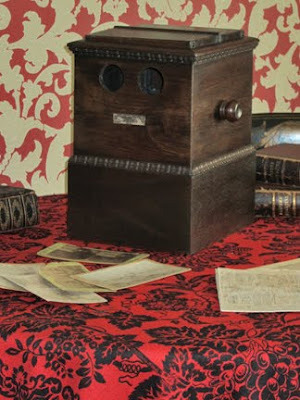 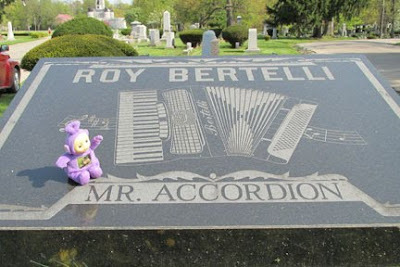 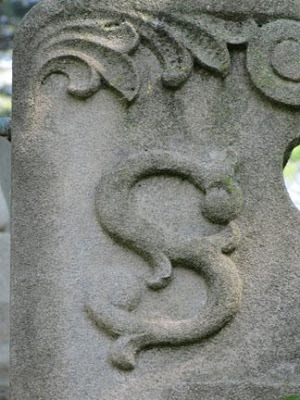 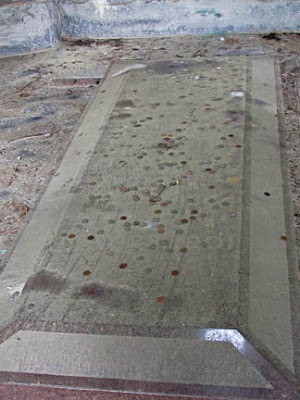 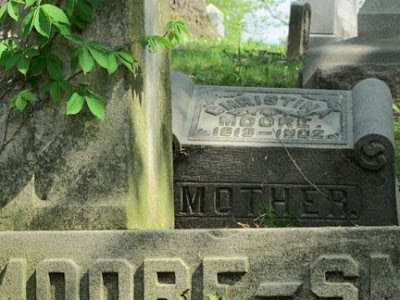 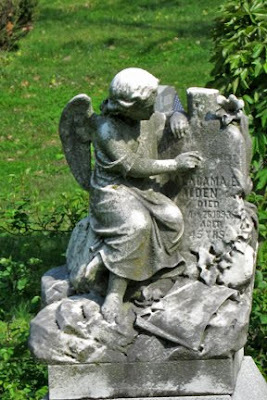 Does it bring you luck to have your coins land inside the grave?